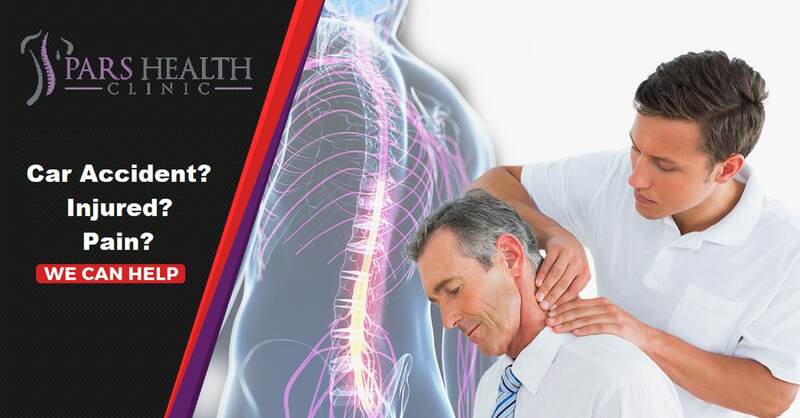 Chiropractic care after a car accident is ideal for people seeking a non-surgical and drug-free solution. 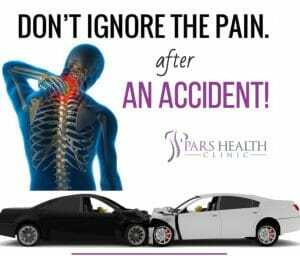 At Pars Health Clinic, we provide safe, effective, natural and non-invasive Chiropractic care to help alleviate pain due to injuries from car accidents. The human body is not made to withstand the impact of a car accident and the way the body reacts to an accident varies. A car accident injury can cause long-term pain to your body if not treated immediately, even if there are no visible signs of injuries. While severe injuries can keep you bed-ridden, mild injuries such as micro-tears in the muscles or ligaments can also lead to more pain in the long run. Dr. Navid Mahallati recommends immediate Chiropractic care to realign the spine, reduce inflammation and help heal the body. Our approach to treatment is rooted in this simple philosophy: treat both the symptoms and the problem. While medications help reduce the pain, medication does not treat or get rid of the underlying cause of pain. Chiropractic care is an effective treatment technique for car accident injuries because Dr. Mahallati realigns the body to fix the problem. Our goal with every patient is to improve their health from the inside out and avoid long-term pain. Non-Obvious Injuries- Other than the more obvious car accident injuries, there are other injuries such as whiplash that are not always apparent immediately following a car accident. 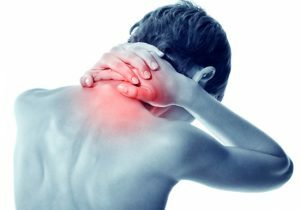 It sometimes takes days to feel the symptoms of whiplash, such as headache, soreness, dizziness, pain in the upper back and neck. By seeing Dr. Mahallati immediately following your car accident, we can properly diagnose your injuries and initiate your Chiropractic care plan before the pain worsens and become unbearable.